Austria's government initiated new measures Friday to curb the spread of radical Islam amongst the nation's Muslim community by Turkish-funded mosques. Chancellor Sebastian Kurz, who has served at the helm of Austria's coalition government since December 2017, announced the closure of seven mosques and the expulsion of upwards of 40 Imams, according to the Wall Street Journal. The chancellor declared Austria was committed to ensuring the country's Muslim population was safe to practice its religion without the subversion of foreign influence aligned with radical extremists. "Political Islam’s parallel societies and radicalizing tendencies have no place in our country," Kurz said. The government is alleging six mosques and a Turkish prayer house – operated by a militant, ultra-nationalist Turkish group – are in violation of a 2015 law banning foreign governments from funding mosques or paying imam salaries. The government's announcement came on the heels of an investigation by national law enforcement agencies to determine if radicals had infiltrated the country's mosques and were working to undermine religious co-existence. The investigation found a number of mosques were receiving financial backing from the Turkish-Islamic Cultural Associations (ATIB), a Turkish government institution regulating religious affairs. Austria has nearly 600,000 residents practicing the Islamic faith, the majority of which are of Turkish descent. The government is also reviewing the residency permits of more than 40 imams across the country who are accused of preaching extremism to their congregations. On Friday, İbrahim Kalin, a spokesman for Turkish President Recep Tayyip Erdogan, took to Twitter to condemn Austria's actions, claiming they were "racist" and "discriminatory." "Austria’s decision to shut down numerous mosques and deport imams with a lame excuse is a reflection of the anti-Islam, racist and discriminatory populist wave in this country," tweeted Kalin. 1/Austria’s decision to close seven mosques and expel imams is a reflection of the Islamophobic, racist and discriminatory wave in this country. It is an attempt to target Muslim communities for the sake of scoring cheap political points. Kalin's criticism reflects those leveled at Austria in 2015, when the country first undertook reforms to its century-old so-called "Islam law," governing the regulation of the religion in the public sphere. 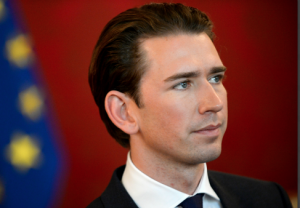 The reforms, championed by then-foreign minister Kurz, banned mosques and imams in Austria from being funded by foreign governments. The measure received a strong rebuke from Turkey, even though it was aimed at preventing subversive elements aligned with extremist Islamists from taking root in the country. Further controversy surrounding the reform was sparked when numerous media outlets inaccurately reported the legislation regulated which version of the Quran, the Muslim holy book, would be available for use in Austria. At the time, Mehmet Gormez, then the highest ranking Islamic cleric in Turkey, claimed it would set the rights and freedoms of Austrian Muslims back "100 years." Many of the legislation's detractors echoed Gormez's sentiment; however, few noted the reforms actually increased the rights of Austria's Muslim population by granting national recognition to Islamic holidays and "guaranteeing the use of protocols for birth, marriage and death registries accepted by Islam." The legislation also expanded the Islamic population's access to halal food and pastoral care in hospitals, prisons, and the military – something that was already granted to practitioners of other religions.